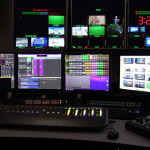 When WDJT needed fast and flexible design and integration services for their production rebuild upgrade, they chose Heartland Video Systems, Inc. (HVS, Inc.). 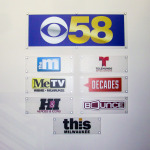 It had been 20 years since the 2nd floor of WDJT, CBS-58 Milwaukee had been updated. Corporate owner Weigel Broadcasting Co decided to not only upgrade the production portion of the tech core, but also rebuild the newsroom, add a second studio, and build a new primary set for their Milwaukee group of stations. 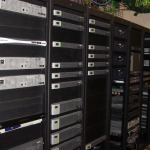 HVS, Inc. worked with the local station engineers throughout the project. Not only did this create a “team” mindset between WDJT and HVS. Inc., it also helped to instill a sense of ownership and confidence in the engineers going forward after the project was completed. HVS, Inc. was able to work through any necessary last minute changes without it derailing the project or the involved personnel.